There is life after being a housewife! Just ask Heather Thomson, who recently announced her planned departure from the Real Housewives of New York franchise after the 2015 season. Her post-reality TV plan? Focus on growing her shapewear company, Yummie by Heather Thomson, and pursuing a new career as a registered health and wellness coach. The mother of two, whose trademarked calling “Holla!” will be sorely missed next season, reveals to LivingHealthy how she maintains a healthy and balanced lifestyle in the limelight—and what she hopes for the future. LivingHealthy: Why did you start Yummie? 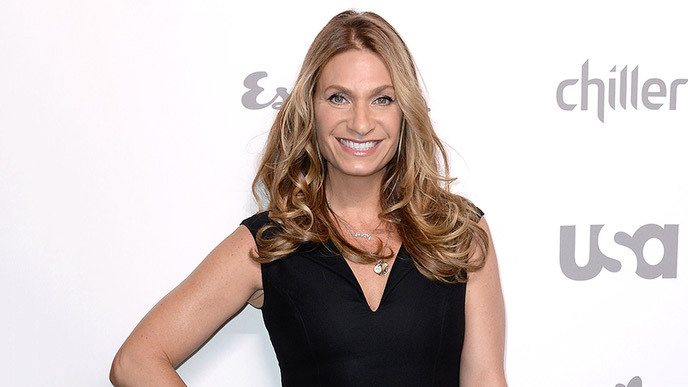 Heather Thomson: I started Yummie by Heather Thomson in 2008 from my own selfish initiative. Like lots of new moms, I was faced with true weight-loss issues after childbirth, and a trip to the shapewear department looking for a boost of confidence changed everything for me. The garments back then were literally my grandmother’s girdles and anything but confidence-boosting. So I took matters into my own hands, leaned on more than 20 years of design experience and invented my original Yummie Tummie® patented three-panel tank. I knew that if I needed that boost of confidence, other women needed it too, and we’ve never looked back! LH: What exactly does confidence mean to you? Thomson: For me, confidence is about more than knowing you look your best—it’s about feeling that way, too. I always say looking good is feeling good, but feeling good is mandatory to looking good! LH: What are some of the healthy principles you live by to look and feel good? Thomson: I try to set achievable fitness goals, but it’s important to realize that sometimes you will fall short, and beating yourself up doesn’t help. What we want to do, what we can do and what we have to do always differ—just keep in mind that each day begins anew. Try your best to focus on the goals and you’ll see results. Also, eating right is crucial to any busy lifestyle. Smart health choices are out there; we just need to make the right ones. I seek out farm-to-table restaurants. I don’t eat factory-farmed meats or fish. I also eat a ton of greens—my body misses it when I don’t. It’s tempting to go for quick-fix diets, but maintaining a healthy lifestyle requires long-term lifestyle changes. Everyone is individual and what works for me might not work for you. But setting smart goals will help you make healthier food choices. LH: Food definitely plays a huge role in being healthy. What are some of your favorite snacks or meals to keep you nutritiously on track? Thomson: Boiled eggs with hot sauce or sea salt are great for a quick breakfast or snack. I also like smashed avocados on sourdough toast on the go. Sourdough bread doesn’t immediately turn into sugar, so that’s always my bread of choice—and it tastes great! I will grab a green juice and handful of nuts if I’m in a rush and don’t have time to sit and eat. I’ve found there’s really just no reason to skip a meal. And for dinner on a busy day, I love the simplicity of quinoa and leafy greens with lemon vinaigrette or a quick bowl of rice and beans. LH: In addition to your fitness and diet regimen, are there any other health and beauty treatments you can’t live without? Thomson: Deep tissue massage, acupuncture and a steam bath. LH: You’re studying to become a registered health and wellness coach. What do you hope to accomplish once you complete the program? Thomson: I have a beautiful family, and I want to be around for a very long time. I want to teach them about stacking the odds in our favor, making wise choices, reversing DNA and listening to our bodies. Understanding the glaring warning signs we are seeing is an important piece. Rising up and forcing change starts from the bottom up, and it’s all in the numbers. We have alarming cases of disease in this country: heart disease, cancer, diabetes, obesity—and our children have these, too. For me, it basically boils down to increasing my knowledge to bring about change, and hopefully doing my part to encourage and promote tomorrow’s healthcare and prevention system, versus the disease treatment and management system we currently have in this country. We have the knowledge that most of the diseases we are treating and trying to manage in this country are lifestyle-related, preventable and reversible. And I want to be a part of educating people with every bite! LH: You’re juggling a successful business and a family—and, for the last few years, you were a star of a reality television show. How did you do it? Thomson: It’s not always easy! While the power of yes is important, the power of no is self-preserving. I feel that multitasking is a bit overrated. I try to focus on the task at hand and realize there’s really no such thing as the perfect balance for more than a minute or two!